The Walking Dead is AWESOME!!! Posted: Sun Feb 16, 2014 8:44 am Post subject: The Walking Dead is AWESOME!!! Do you love the Walking Dead on AMC but the wait between episodes and each series is making you chew someones arm off? Then you are in luck! we have tons of graphic novels and comics telling the whole story behind some of your favorite characters from day 1 of Robert Kirkman's epic series. The best part? The is so far behind the comic that you can jump ahead a read about some of the awesome upcoming characters. 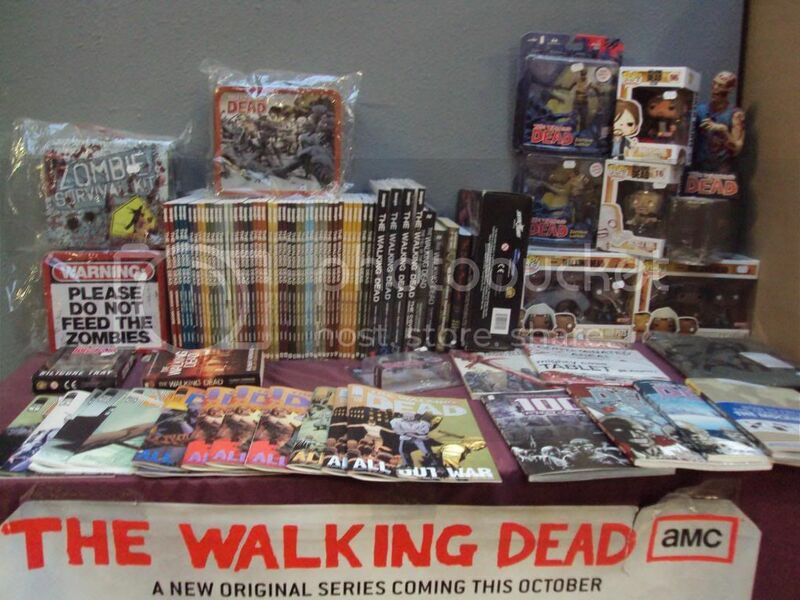 Come on in a take a look at all that we have to offer to sate your Walking Dead cravings.